Not sure what to get your guy for Valentine’s Day? 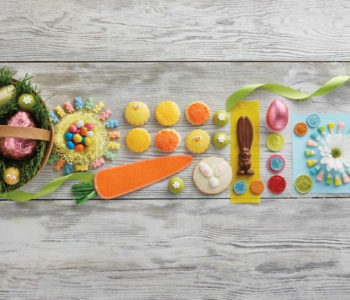 You’ll definitely win bonus points when you show up with an armful of delicious chocolate, fruit, and salty snacks. We’ve compiled a list of our very favorite gifts for him this Valentine’s Day so you don’t miss a single chance to show him how much you care. 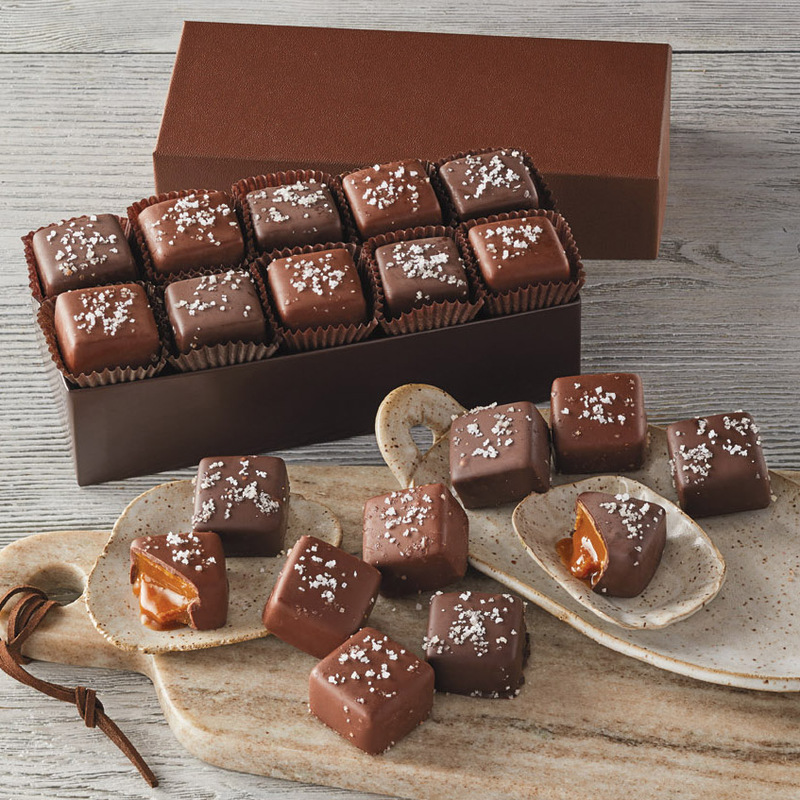 When in doubt, these sea salt caramels are the perfect go-to gift for any guy in your life. 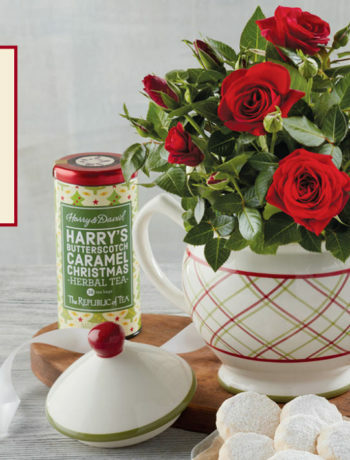 The perfect balance of buttery caramel and sea salt satisfies every craving to keep him wanting more. You may need to grab two boxes, because it’s impossible to eat just one. 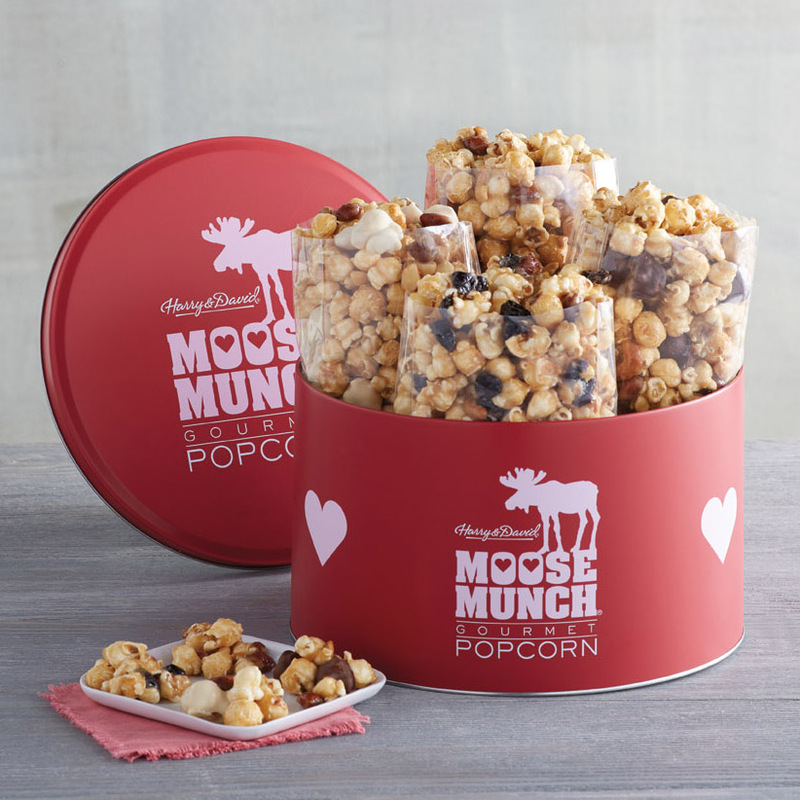 This tin comes with four different flavors of Moose Munch® Premium Popcorn– from classic caramel to fun, seasonal cherry vanilla. While the festive red tin says ‘Happy Valentine’s Day’ the contents inside are just a super-sized serving of his favorite sweet snack. 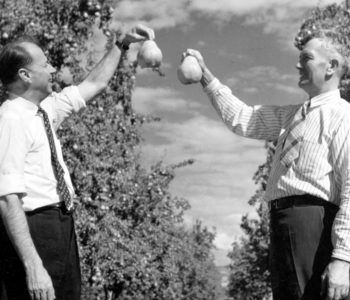 There’s nothing wrong with getting your guy a gift you can share! 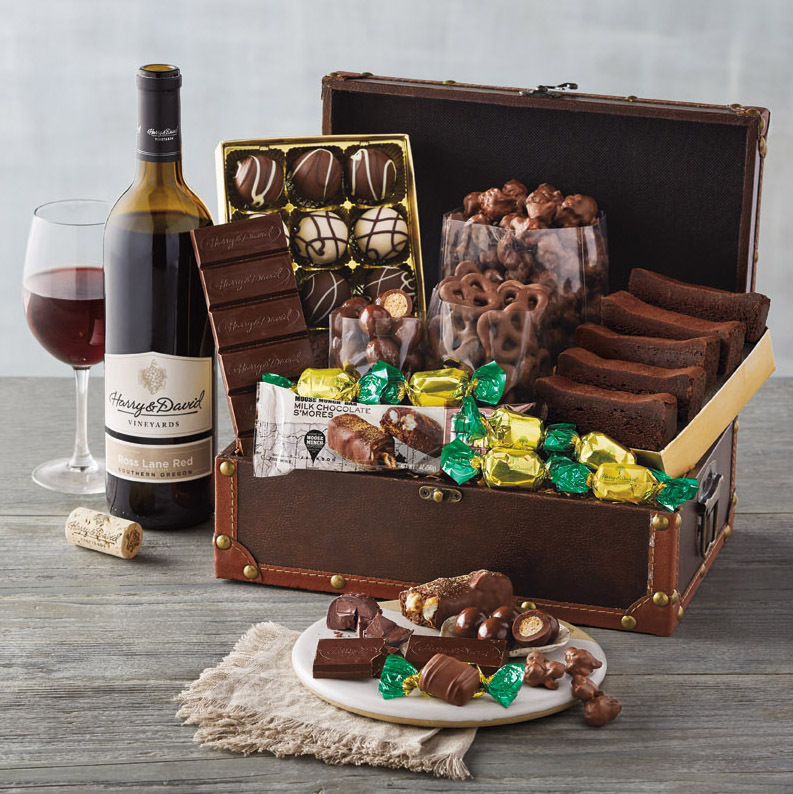 A variety of chocolate treats pair perfectly with a bottle of our Harry & David™ Ross Lane Red blend. You know he won’t be able to enjoy all that by himself. His favorite treats come together for this irresistible upgrade to standard Valentine’s Day chocolate. 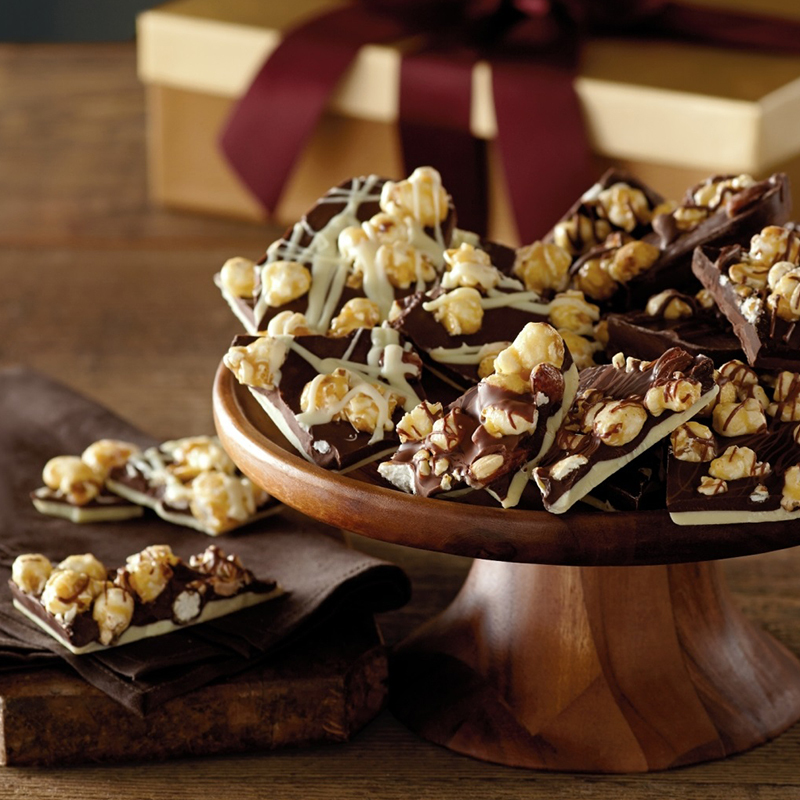 The combination of dark, milk, and white chocolate layered with our famous Moose Munch® Popcorn is a match as sweet as you two. Crunchy, salty, sweet, and caramelly; this treat will satisfy every flavor craving. This gift for him is perfectly packaged for Instagram-worthy moments and filled with a flirty, fun treat. 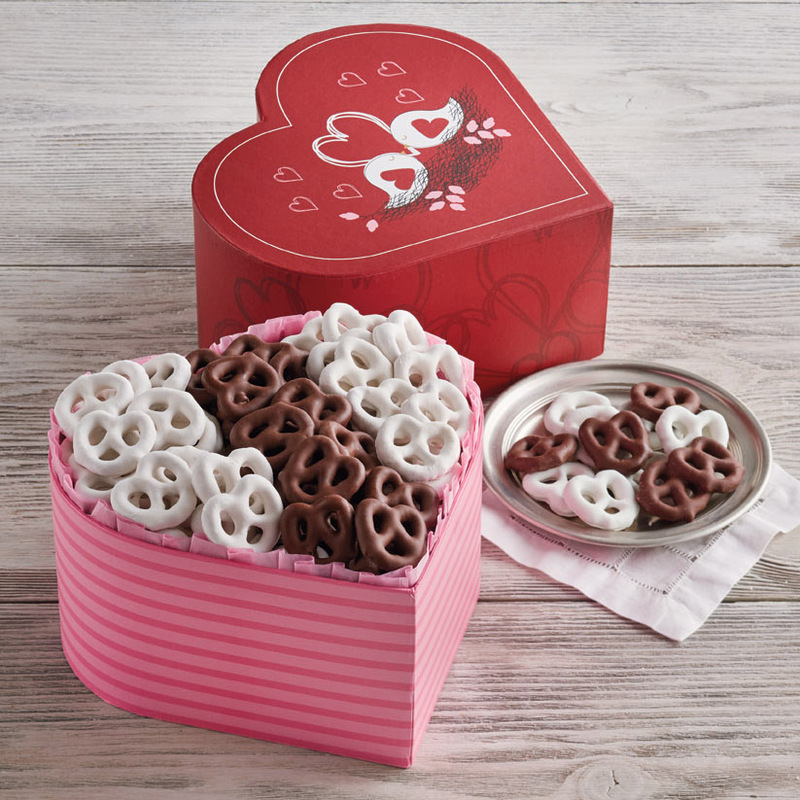 These milk chocolate and yogurt-covered pretzels will give him the perfect salty-sweet snack long past February 14. 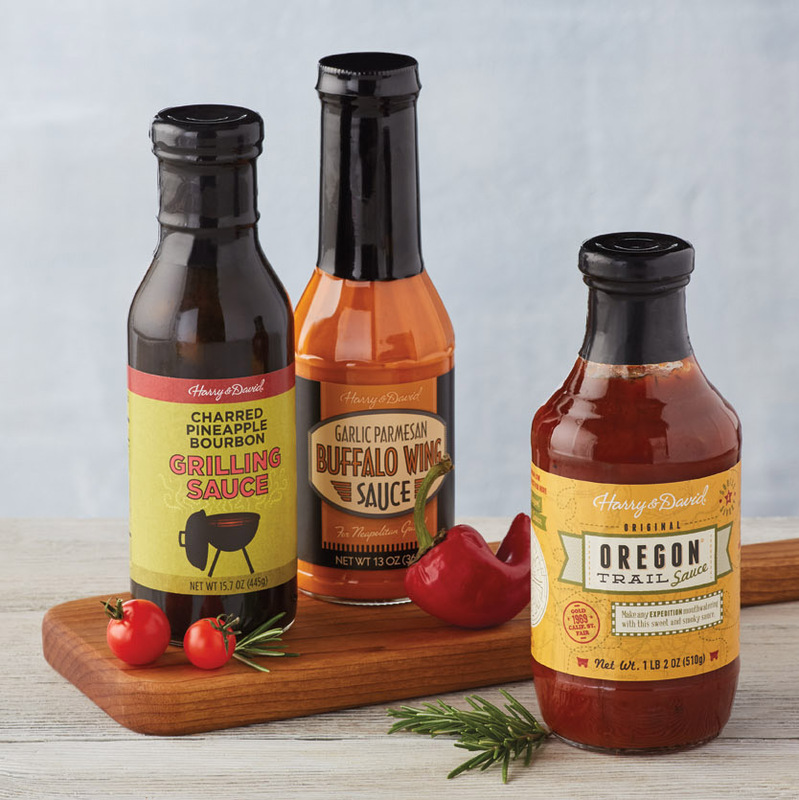 Turn up the heat by gifting him an assortment of unique and flavorful grilling sauces. You’ll have a range of choices like Sriracha BBQ, Raspberry Chipotle grill sauce, and our favorite Oregon Trail Sauce. 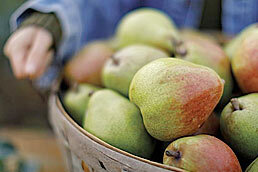 Grab a few of his favorite flavors, and he’ll be thinking of you each time he fires up the grill. For the guy who loves a variety of tastes, this gift comes with six different snacks for a sampling of flavors. 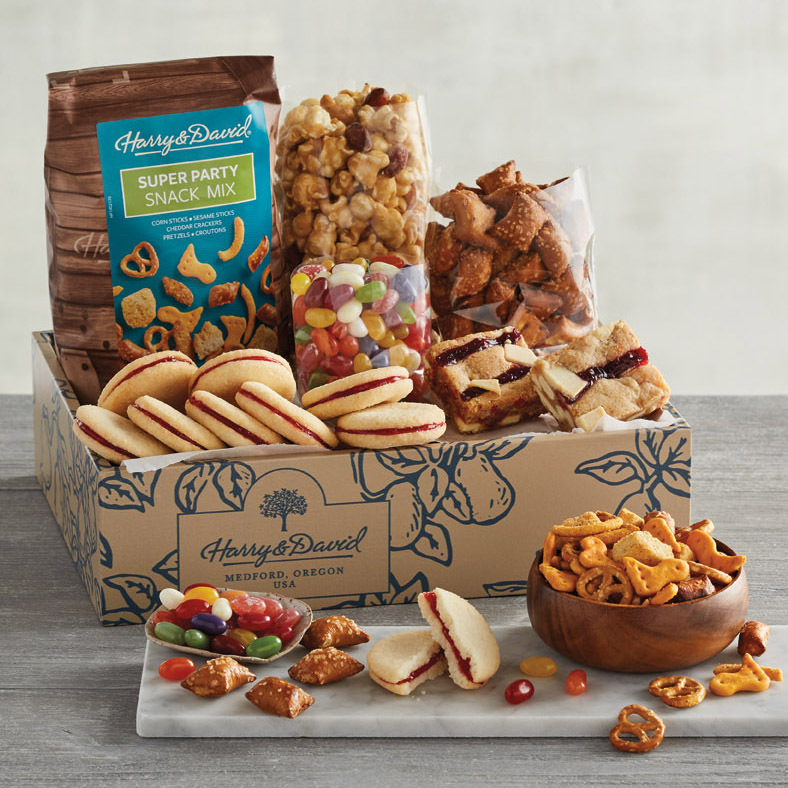 Whether he’s craving crunchy Moose Munch or buttery galettes, this snack box has it all. Ask nicely and maybe he’ll share!